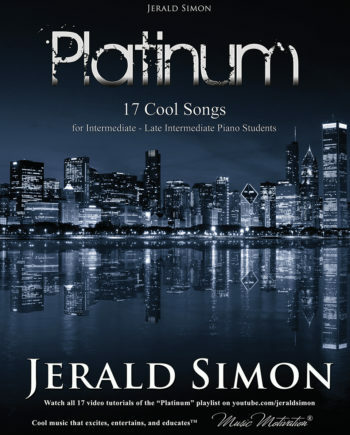 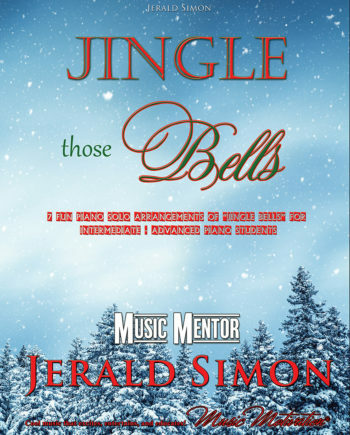 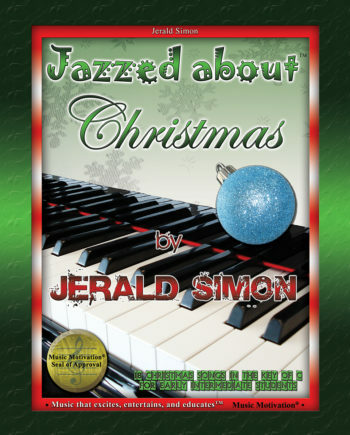 “Silent Night” arranged by Jerald Simon is an intermediate-late intermediate piano arrangement (in the key of B flat Major – B major) – 6/4 time signature. 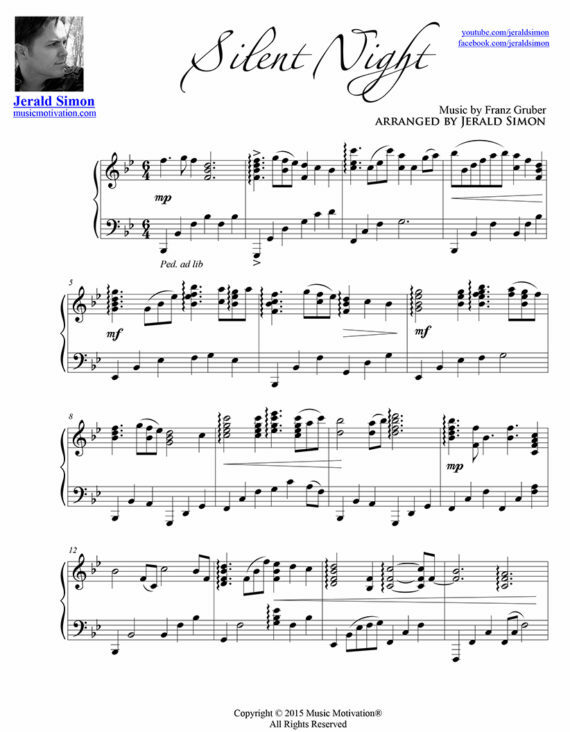 This arrangement of Silent Night is more of an intermediate-advanced piano solo arrangement. 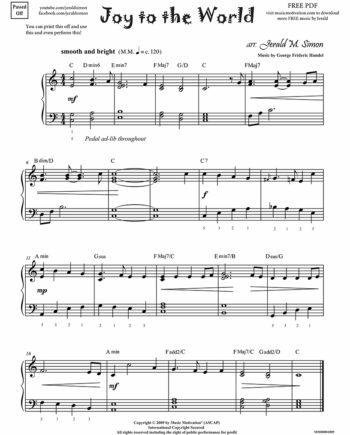 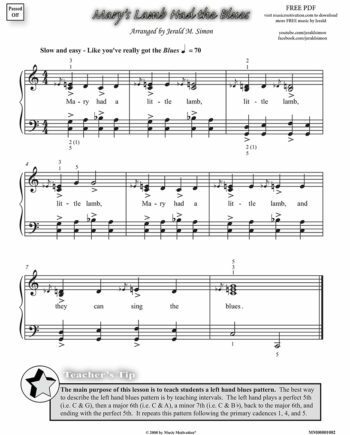 Look at the left hand runs moving up and down the piano that create a gentle melodic line of its own.